COMETH the hour, cometh the man. With the year he’s having, in which everything his enormous right foot touches turns to gold, it was no surprise that Rory Beggan had the final say in a ding-dong Ulster semi-final at Healy Park yesterday. 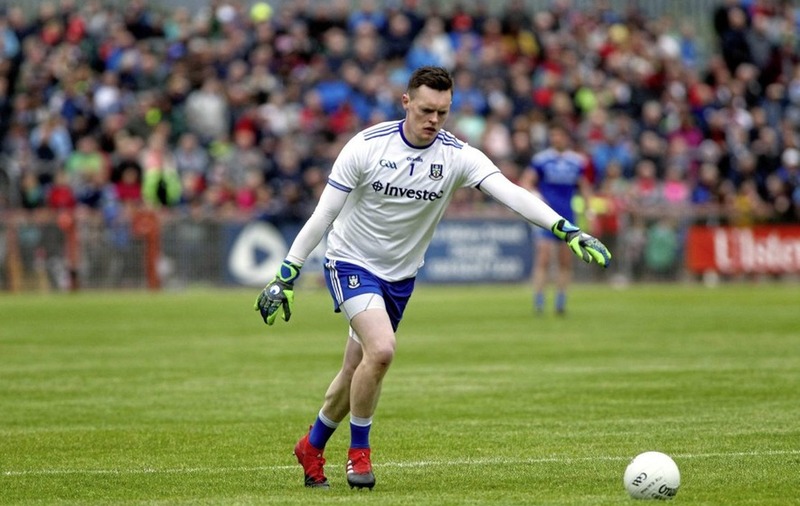 The Allstar goalkeeper spent much of the final 10 minutes camped in the Coleraine half of the field as Scotstown chased a three-point deficit. The Derry champions were holding on gamely but struggled badly after losing totemic midfielder Niall Holly to a nasty-looking shoulder injury 43 minutes in, the Eoghan Rua players left unable to plug the gaps as the men in blue poured forward in waves. Beggan got the ball rolling with a 58th minute free to reduce the gap to two. Three minutes into added time he was involved again, popping up on the edge of the Eoghan Rua square before offloading an inch perfect fist pass into the path of Ryan O’Toole. The young full-back, who was the senior team’s stats man last year before forcing his way into the starting 15, showed nerves of steel to slot over under such pressure. A minute later it was raiding corner-back Damien McArdle who bagged his second of the day to level it up as the game looked bound for extra-time. Still you just sensed there would be a sting in the tail one way or another and, unfortunately for Coleraine, the momentum was all with Scotstown. Donal Morgan led the cavalry charge as An Bhoth scented blood, bursting forward from centre-back where he was impeded by Ciaran McGoldrick on the way through. As Beggan strode forward and placed the ball on the 45 metre line, not for one second did you doubt it was going anywhere but between the posts. The helpless Eoghan Rua could only stand back and await the inevitable, knowing their fate was all but sealed after a gallant effort. “I knew it was either the last kick or the second last kick and that it had to go over,” said Beggan, seeking refuge against the cool white walls between the Healy Park dressing rooms. “If you want a man standing over a kick, Rory is your man,” added relieved Scotstown boss Kieran Donnelly. “I was just delighted we had that opportunity. I felt at one key juncture we missed our goal chance and they got theirs and, especially playing against the breeze, I felt we had to work very hard to get back into the game and so it proved. "It took a huge work-rate from our forwards because they are a great team to hold onto the ball." Indeed they are, as Eoghan Rua displayed wonderful patience and poise to pick holes in an open Scotstown rearguard. And while the loss of Holly was undoubtedly huge, the bus journey home will also have been tinged with regret at the opportunities passed up to add to the two goals they finished the game with. There were none more gilt-edged than the Gavin McWilliams effort which came back off the bar in the second half. Finding himself in acres of space, he looked to have done the hard work after rounding a grounded Beggan, only for his left footed strike to rebound to safety. That was just a minute after Holly’s unfortunate departure and, had it gone in, Eoghan Rua would have had a six-point lead to protect. It didn’t, and less than 30 seconds later the ball was over the Coleraine bar after a Scotstown break ended with Kieran Hughes slotting over. Yet still they struggled to break down a well-organised Coleraine side, the sevens specialist content to operate in tiny corridors of space, working the ball masterfully out of danger time and again. Scotstown’s more direct approach reaped rich dividends early on though as they used the wind to spread dangerous early balls into the corners. And when Conor McCarthy scored a superb solo goal seven minutes in, you wondered had the Derry kingpins the artillery to match the Monaghan men. Indeed, Coleraine goalkeeper Ryan McGeough also made two good saves with his legs to stop Scotstown adding to their tally in the first half. 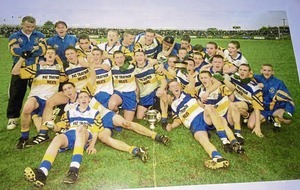 But gradually Eoghan Rua grew into the game, and Scotstown didn’t get to grips with Colm McGoldrick all afternoon, the big target man winning everything that came his way, providing a vital outlet as maroon bodies piled forward. He was involved in Coleraine’s first goal, taking a ball from his brother - the superb Sean Leo McGoldrick - before off-loading to Ciaran Mullan, who fired home, high and handsome. Scotstown still looked the more potent force but Coleraine remained cool and took a one point lead into the break, 1-7 to 1-6, when Barry Daly profited from a well-worked free. And when Ruairi Mooney found the bottom right corner of Beggan’s net five minutes into the second half, taking advantage after a superb Liam McGoldrick burst from full-back, they were in the groove – inviting Scotstown on, turning them over and breaking with pace and precision. An Bhoth looked out of ideas at this stage and Eoghan Rua could, and should, have made them pay. But the four-time Ulster champions were never going to bow out meekly and Scotstown kept their heads and continued to chip away, even when all looked lost. 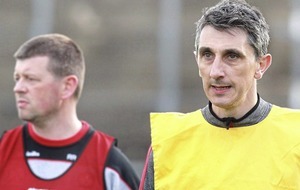 And when you have a man like Rory Beggan at your disposal, impossible is nothing. “It was devastating at the end,” said Coleraine boss Sean McGoldrick. 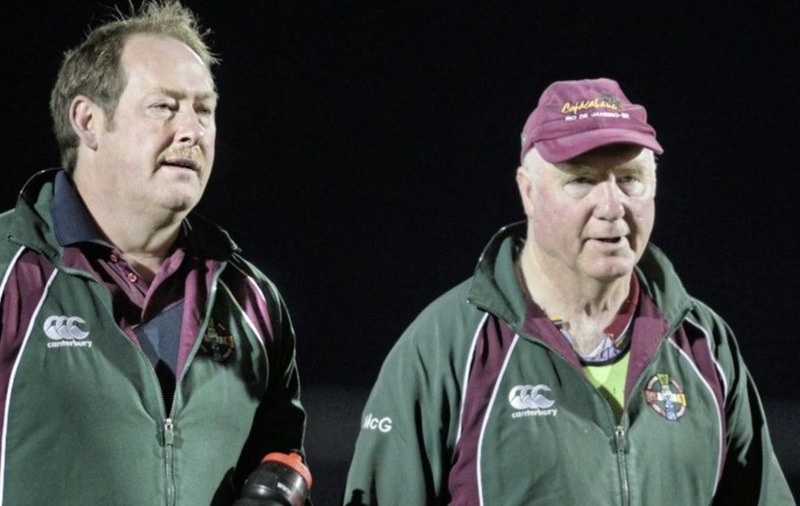 “That free at the end I thought was fairly innocuous, it was right on the 45 metre line so for a player like Beggan, it was going to be no bother. But referees’ decisions go with you and go against you, it’s up and downs. SOME of Scotstown’s other big names weren’t at their best yesterday, and it was their Allstar goalkeeper Rory Beggan who helped drag them across the line, acting as a spare man when they chased the game and scoring the match-winning free at the death. A SERIOUSLY classy performance from McGoldrick, who could thread a ball through the eye of a needle – and did so on several occasions, often finding brother Colm with perfectly-weighted passes, allowing the Coleraine target man to bring others into play.